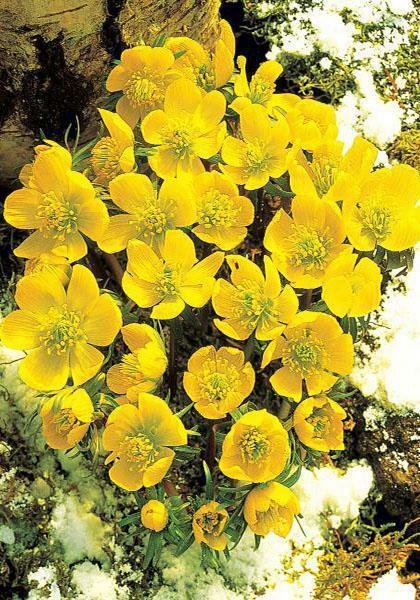 The winter blooming buttercup is as hardy as the stones amongst which it does not mind growing. It is excellent for naturalising in grass or woodland or in the rockery. A lovely sight in the cold winter months, from January to March. Plant in humus rich but well drained soil 4cm (2") deep and 5cm (2") apart and it will spread rapidly. They prefer a sunny location or partial sunny location and we recommend soaking the corms for 24 hours prior to planting. 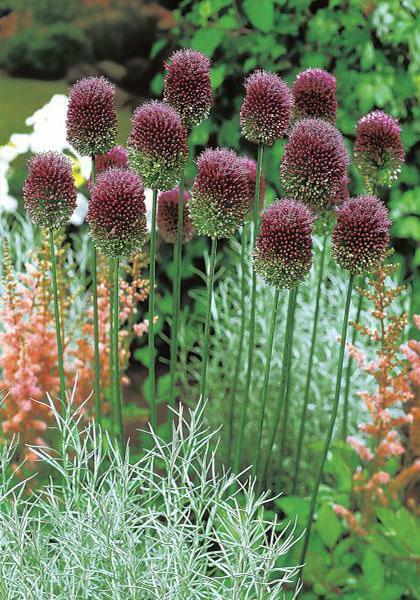 Alliums can grow in most locations but they prefer a sheltered, sunny and well-drained site. They should be left undisturbed from one year to another and it is not uncommon for seedlings to appear naturally. 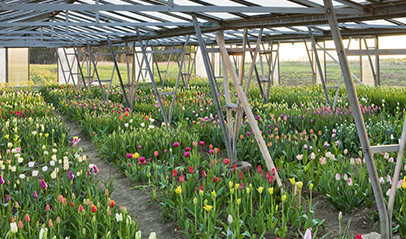 See individual varieties for depth of planting but usually 4 times the diameter of the bulb. Over winter Alliums can be left in the ground. Once the stem and the foliage have died back and been removed they should be covered with a good layer (1-2 inches) of mulch to offer protection which should then be removed in the following Spring to allow new growth to continue. Known as the Grecian windflower, the blanda types are very useful for planting in the rockery or drifts in the border and underplanting deciduous trees and shrubs. The blanda and species varieties need a moderately fertile soil and prefer a site in dappled shade. Plant 5cm (2") deep and 7cm (3") apart to allow for naturalising spread. It is beneficial to soak the bulbs overnight before planting. Usually flowers between March and April. Unlike the blanda Anemone coronaria are more suited to the border. Plant 7cm (3") deep and 10cm (4") apart in a damp but not wet soil which has been enriched with well decayed manure. 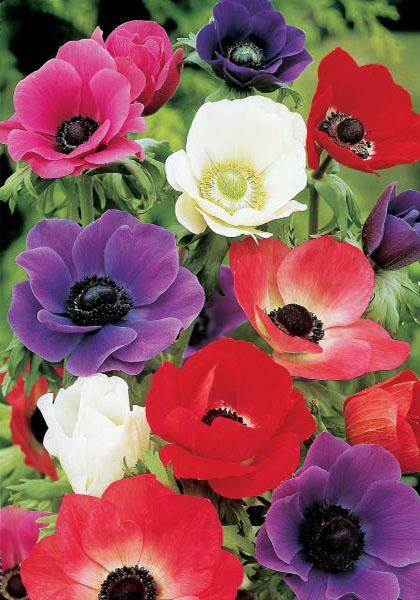 Anemone coronaria prefer to be grown in direct sunlight. They will produce large strong stemmed flowers which are ideal for floral decoration in May to June time. Wood anemones are a real treasure and once established will for a luxuriant carpet of foliage with an abundance of delicately formed flowers. Plant on receipt in dampish soil and expect them to flower in April.